This is the number one criteria! Guinea pigs are very susceptible to upper respiratory infections and drafts are a major culprit. A nice, bright location with indirect sunlight. If you have a window that you can direct some occasional sunlight on the cage, such as morning light only, that could be good as well. Definitely avoid putting guinea pigs next to bright windows and glass doors. Do NOT put cages in closets or other small enclosed enclosed areas. The room should have a stable temperature range of 65 to 75 degrees F (18 to 24 degrees C). 85 degrees and over and your guinea pig is likely to die from heat stroke. 85 plus degrees is typical in garages in the summertime. If you are comfortable, your guinea pig will be comfortable. If it's too hot or cold for you, it's too hot or cold for them. The room which houses your guinea pig should not experience high humidity or fluctuations in humidity. Humidity can be just as bad for your guinea pig as drafts. Avoid areas close to showers where humidity levels soar during and after use. Avoid laundry rooms. Basements finished as part of a home also tend to have higher humidity levels. Be sure of the humidity level before choosing a basement location, and make sure indirect sunlight is also available. This is the last, but not least, requirement. It is critically important to the long-term health and happiness of your guinea pig that you find a place for the cage that is central to family activity or at least just on the immediate periphery. We do not recommend putting cages in children's bedrooms. The guinea pig should be part of family life, even if it is 'designated' as one person's pet. The best location is an area near the kitchen or dining room, with frequent family traffic and visits. When near the source of food, the guinea pigs will help remind you when they want food and attention. Behavior is more easily monitored, interacting with the guinea pigs is easier and therefore more frequent, and the family is more attentive to cage cleaning needs. Living rooms and family rooms can also make good locations. For additional reasons on why cages in children's bedrooms is not recommended, see Cavy Spirit's related page on adoption requirements. You are a walking giant to them when they are on the floor. You are scarier and it is harder for them to be comfortable with you. Footsteps, jumping, running, moving things around, cleaning, vacuuming all create more stress for the cavies when they are on the floor. Vibrations are more easily felt. 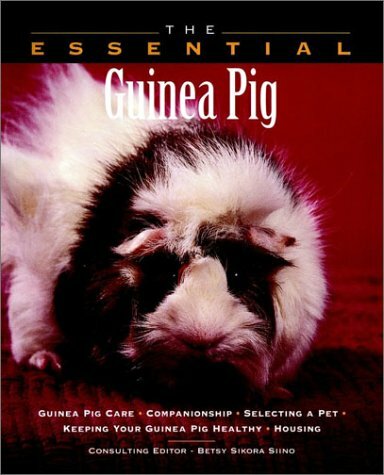 Children should be supervised when playing with and handling guinea pigs. It is too easy for them to get to the guinea pigs on the floor and too easy for toy and play accidents to happen--pushing, shoving, throwing things, etc. Drafts are more noticeable on the floor and can predispose guinea pigs to upper respiratory infections if they are disturbing enough. It is not as easy to walk by and give a pet when the pigs are on the floor. If these tasks are not extremely easy to do, they can be overlooked sometimes over the years. So, if none of these issue apply to you or you can mitigate the concerns, then putting the cage on the floor may work. If you have any of these issues, you should carefully consider the advantages and disadvantages and take precautions with the elements in your home. Unless your garage is finished off, insulated and part of your home, it is inappropriate for a guinea pig cage. Drafts, temperature fluctuations, temperature extremes, humidity fluctuations, the possibility of toxic fumes from cars, furnaces, or chemicals and not being connected to the family activity are all reasons why garages are a bad idea for guinea pigs. Humidity fluctuations and temperature fluctuations are a recipe for sickness and death. Do not keep your guinea pigs in a laundry room. Excerpt from "The Essential Guinea Pig:"
"It's impossible to truly appreciate life with a guinea pig unless you keep him inside your home. Just like a cat or a dog, guinea pigs are companion animals with personalities all their own. If you don't actually live with a guinea pig day in and day out, you'll never get to know him as well as you could. Likewise, the guinea pig won't get to know you. If your guinea pig is outside most of the time, the two of you will lead separate lives. You will miss out on the chance to have your pet sleep on your lap while you watch TV and gaze up at you from the floor while you eat dinner. People who live with indoor guinea pigs enjoy these antics and more from their pets. There are also many other practical reasons for keeping a guinea pig indoors. Guinea pigs who live inside tend to live longer than outdoor guinea pigs. Bad weather and predators are responsible for the demise of many outdoor guinea pigs. These are consequences of outdoor living that even conscientious owners cannot always control. Illness is a major cause of death among outdoor guinea pigs, mostly because outdoor pets are more difficult to monitor. Signs of sickness can be subtle at first, and because outdoor guinea pigs spend less time with their owners, it can be a day or so before the owner recognizes the illness. In the case of rapidly progressive illnesses, a delay of even one day can cost a guinea pig his life. The decision to keep your guinea pig indoors is a wise one. Even guinea pigs who have been living outside for years can acclimate to a life indoors." For additional support on the case for Indoor versus Outdoor housing, please see the page on the USDA regulations.